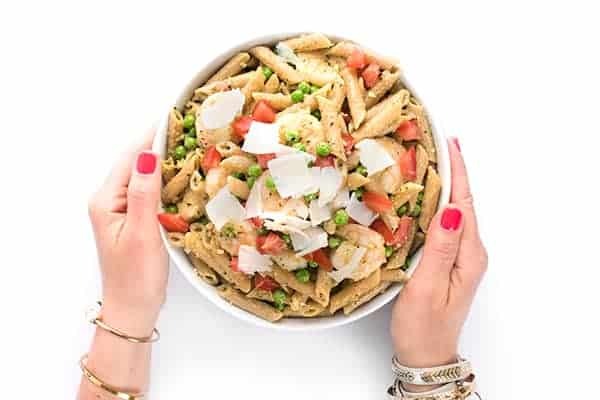 A quick and easy dinner recipe, this pesto pasta with shrimp and peas comes together in just 15 minutes! 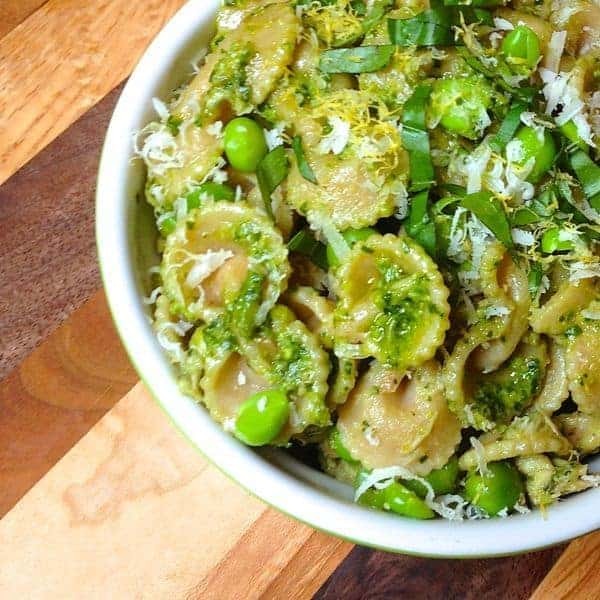 As a busy working mom of two little ones, I can never have too many quick and easy pasta recipes in my arsenal. Can you relate? 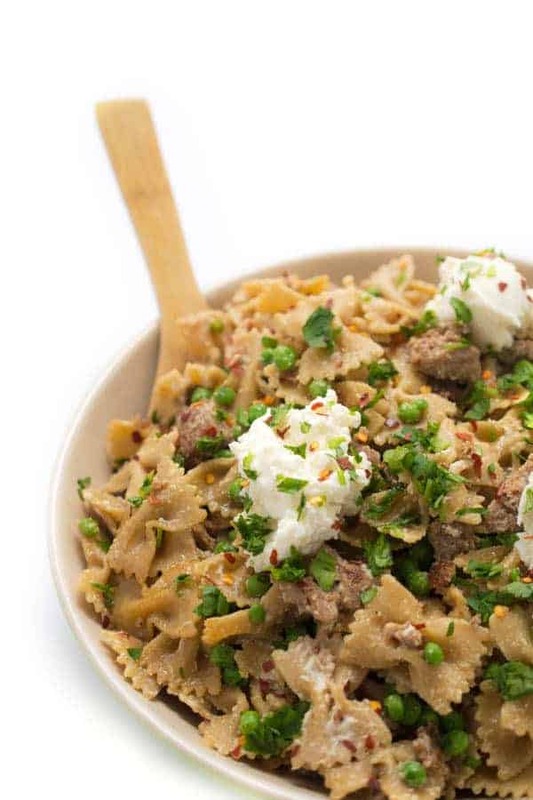 There are so many reasons I love a pasta dinner: it’s a affordable, quick-cooking and always a hit with my boys. 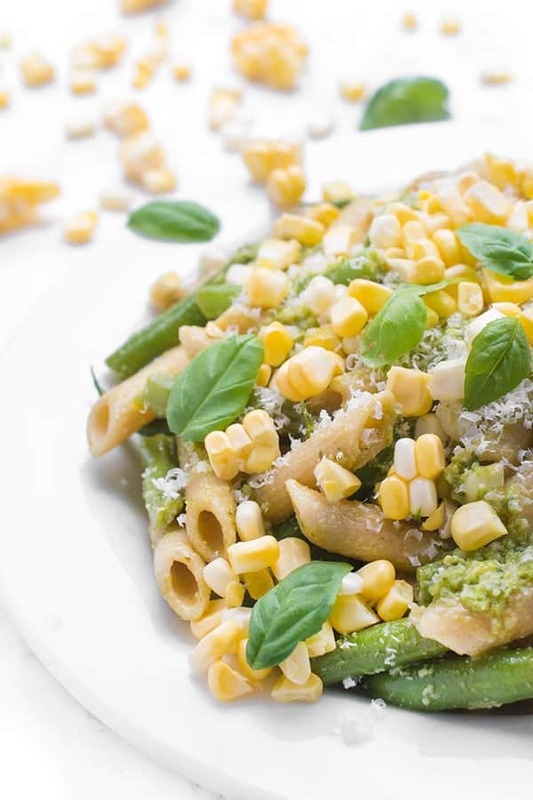 Truth be told: there’s no better way to ensure my kids will eat extra veggies than tossing them with pasta. 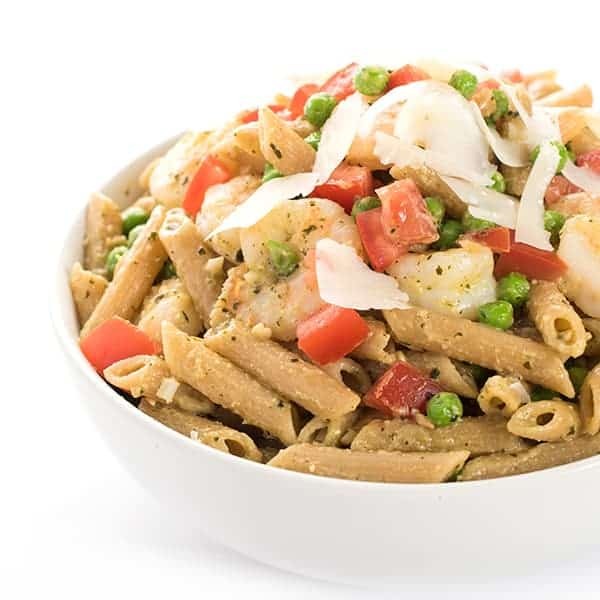 I’m especially excited about this Pesto Pasta with Shrimp and Peas because it is made with one of DeLallo’s newest products: Biodynamic Pasta. 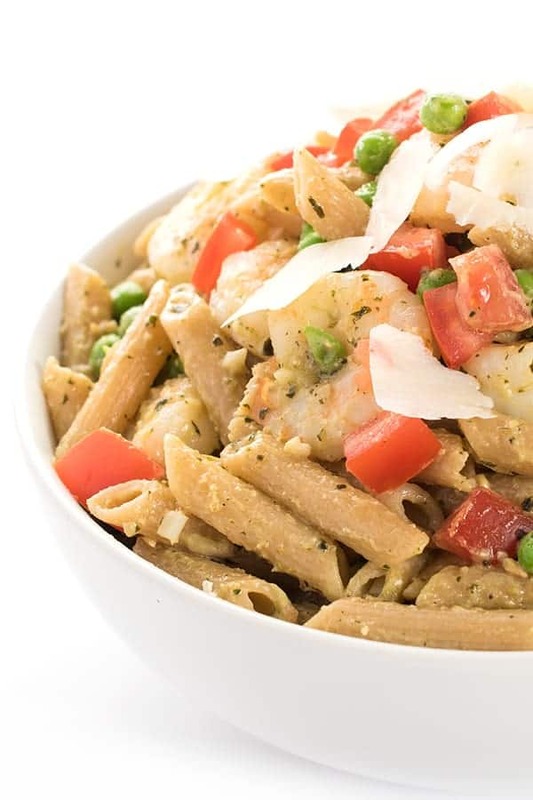 This unique type of pasta production uses the ancient practice of sustainable farming for its wheat which gives the pasta a hefty boost of nutrients, minerals and protein. The agricultural process is performed in harmony with the natural world to keep balance and revitalize the surrounding environment. If that doesn’t make you feel good about making dinner I don’t know what will! 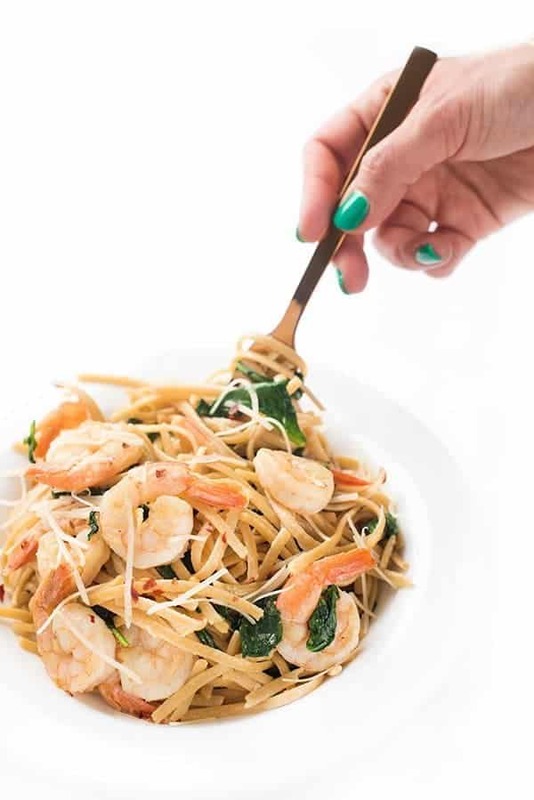 We love shrimp and I always have a bag or two in the freezer for 15 minute dinner recipes but this dish would be just as delicious with chicken or you can keep it vegetarian and add extra veggies like asparagus, broccoli or red peppers. Give it a try this week and let me know what you think! Be sure to tag me (@TheLemonBowl) on Insta-Stories so I can see it! 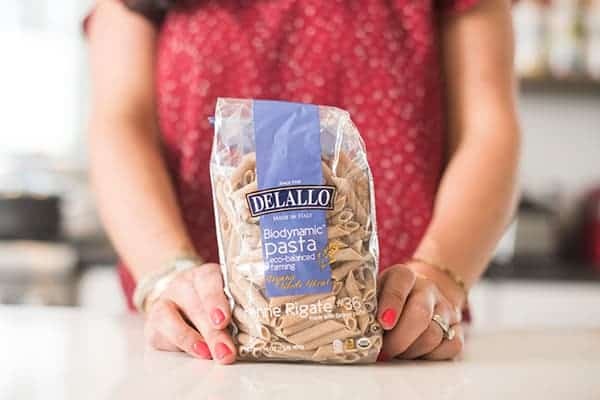 Prepare DeLallo Biodynamic Whole-Wheat Penne according to package instructions, reserving 1 cup of the starchy cooking liquid; set aside. While the pasta is cooking, heat a deep skillet over medium high heat and drizzle with olive oil. Pat shrimp dry with paper towel and sprinkle with salt and pepper. Add garlic to the hot pan and heat until fragrant, about 20 seconds, before adding the shrimp in a single layer. Sear shrimp until bright pink, about 2-3 minutes per side. 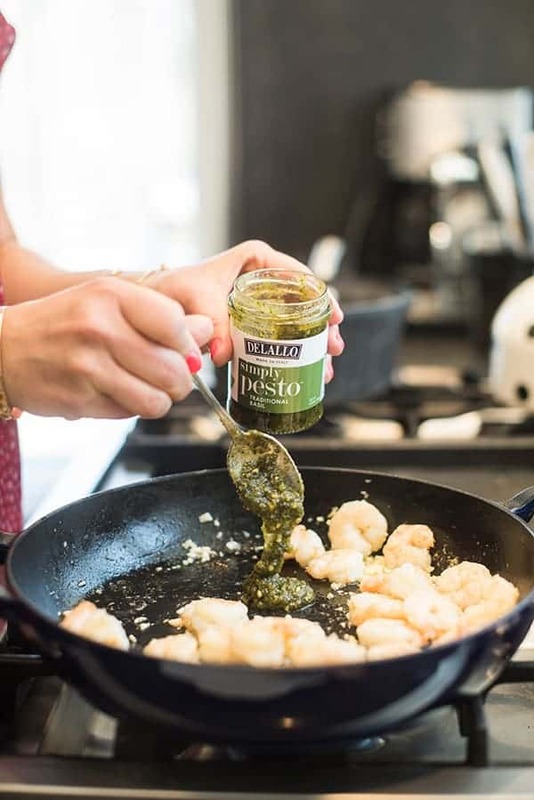 Drizzle pesto into the pan and sauté to coat shrimp. Pour in a little of the reserved starchy cooking liquid and deglaze the bottom of the pan with a wooden spoon. Add the cooked pasta to the pan, along with the tomatoes and peas, and toss well. 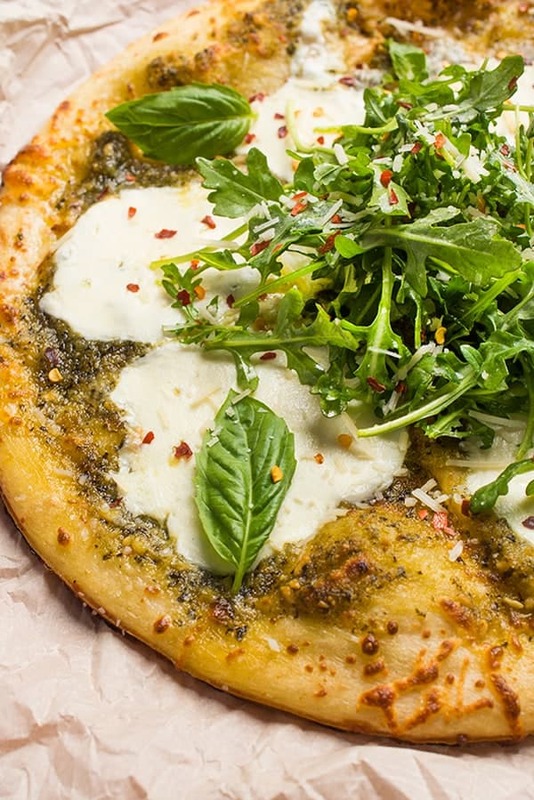 Serve with parmesan cheese to garnish. Want more flavorful recipes? Head over to Pinterest!